Now you can easily integrate Octane AI widgets with your Justuno promotions and opt-in more followers in few a steps. 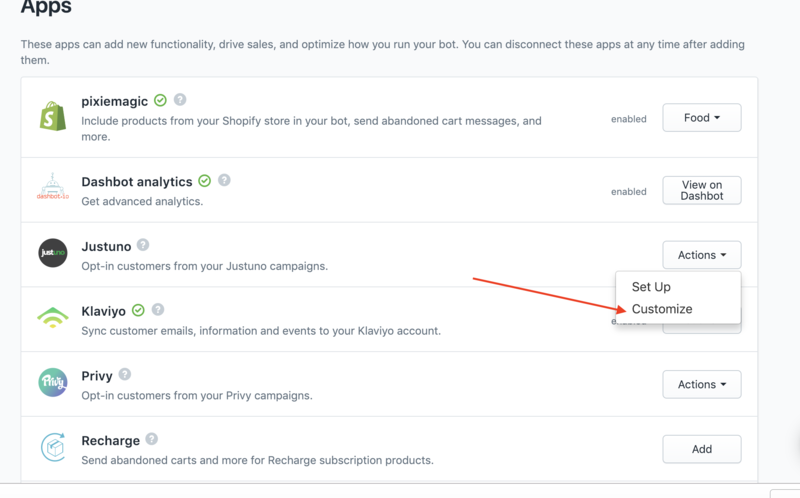 You can add the Facebook Messenger checkbox or Messenger button as an addition to your email capture campaign and incentivize opt-ins while collecting email addresses at the same time! How do I add Octane AI to Justuno promotions? Instead of the Facebook Messenger Checkbox, you can choose the Facebook Messenger Button and your customers will be opted in as a followers when they click on the Send to Messenger button without having to opt-in separately in Messenger and they will receive welcome message right away. 3. You can drag and drop the element on your popup in order to place it where you want. By Facebook's rules and regulations it cannot be hidden and it has to be clearly displayed on the widget. Justuno supports spin to wins, lead capture and more. Note: In the preview you may see a watermark that says FPO. This is to indicate that the preview won't function (it will only function live). It will not be shown on the live widget. How does this work for my customers? Once they opt-in in popup they will automatically receive a message in Facebook Messenger that you set in opt-in request, once they confirm they will become your bot followers and you can send them broadcasts, targeted flows, questions etc. 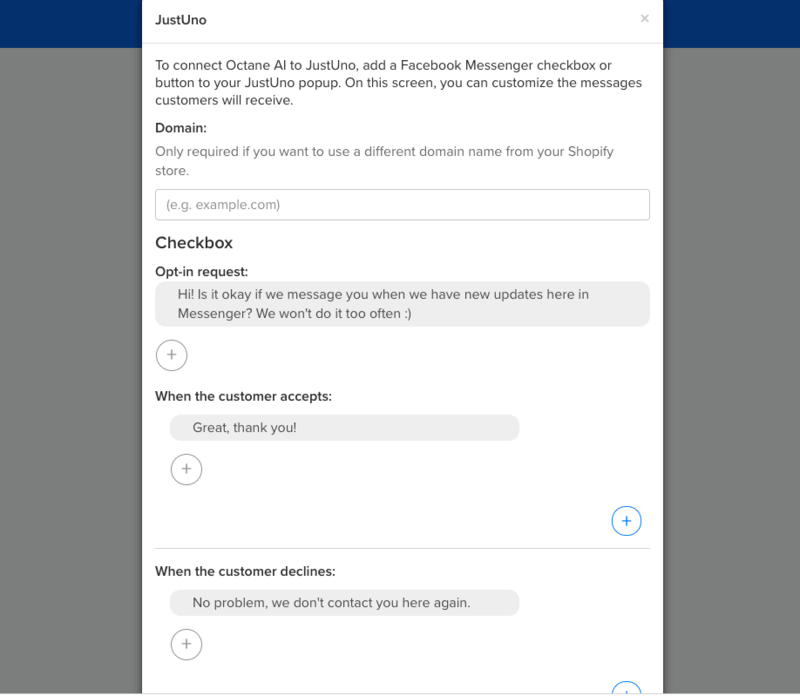 Depending on the state of your checkbox either customers will need to check the checkbox to get the message in Facebook Messenger or, if you have the pre-checked checkbox, they will automatically get the message when they click on CTA. How do I edit the copy my customers see when they receive message on Messenger? For the checkbox, you can edit it directly from our apps page. 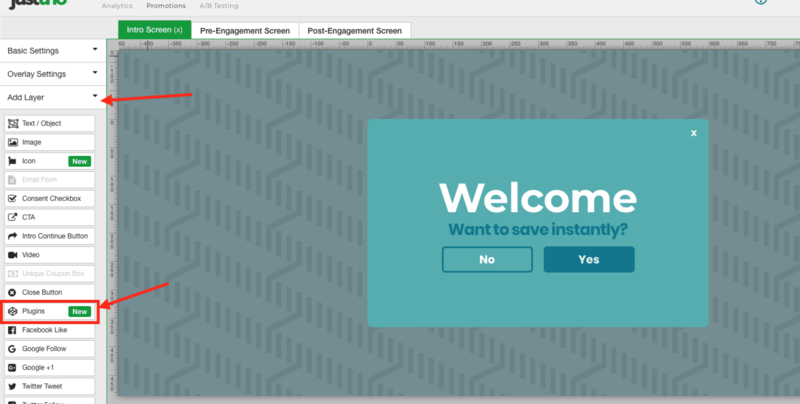 Go to Octane AI > Apps > and click on the Customize button in Justuno dropdown. You will see the default copy and be able to edit it. For instance, maybe you want to have the thank you message include a discount code. For the Messenger button, the welcome message will be shown instead and anyone who clicks will be automatically opted-in.